Eric McIntosh drives a golf ball. The sophomore finished in the top-10 at the Marquette Invitational. 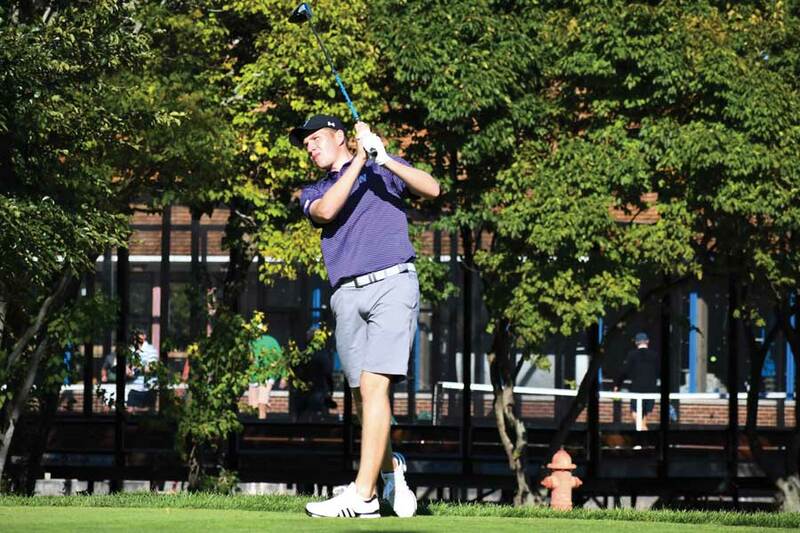 Northwestern’s first two tournaments of the 2018-19 season could not have gone any differently. After a disappointing start three weeks ago, the Wildcats turned in an outstanding performance at the Marquette Intercollegiate to win the invitational. The Cats’ next major opportunity to continue steering the ship in the right direction begins Sunday with the Chatham Hills Collegiate, NU’s third tournament of the season. The tournament will be played at the Club at Chatham Hills, a new par-72 golf course in Westfield, Indiana. While construction on the course began in November 2014 and play began on the links in 2017, the full facility was only recently completed with the grand opening of the clubhouse this fall. This is the first time NU will play at the course, meaning that the team does not have much information on how the course plays. Chatham Hills is designed by legendary golf course designer and World Golf Hall of Famer Pete Dye. Dye has designed over 100 golf courses in his career — including TPC at Sawgrass, Whistling Straits and Crooked Stick. NU will play Chathan Hills with the same lineup that it utilized at Erin Hills — Hawkins, senior Ryan Lumsden, sophomore Eric McIntosh and freshmen Lucas Becht and David Nyfjäll. All five competitors finished in the top-25 of the Marquette Invitational, with Lumsden claiming the individual title and Becht and McIntosh both earning their first-ever top-10 finishes. “We know we have the ability to go out as a team and shoot (12-under) on a US Open course,” McIntosh said. Last season, the Cats followed up their first tournament championship at Windon with a second title at the UNCG/Grandover Collegiate to conclude the fall part of the season. Lumsden finished in the top-three at UNCG/Grandover and Hawkins ended tied for third at Windon. NU still has one more tournament to play following Chatham Hills, the 2018 UNCG/Grandover Collegiate, before this campaign’s fall section concludes. But that does not mean the Cats are taking these tournaments lightly.